Karina Poli MA is a doctoral student in Communication Sciences at the School of Communication and Arts, University of São Paulo. 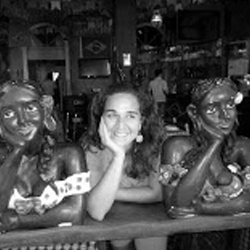 She has taught in several universities in the city of São Paulo, and worked as a consultant for the Tourism Marketing Plan in the State of Santa Catarina, Brazil. She was part of the Council of the São Paulo Music Cooperative. Currently, she is performing her doctoral research on the topic of Cultural Policy, Creative Economy and Music in São Paulo and Brazil. She also works within music production.